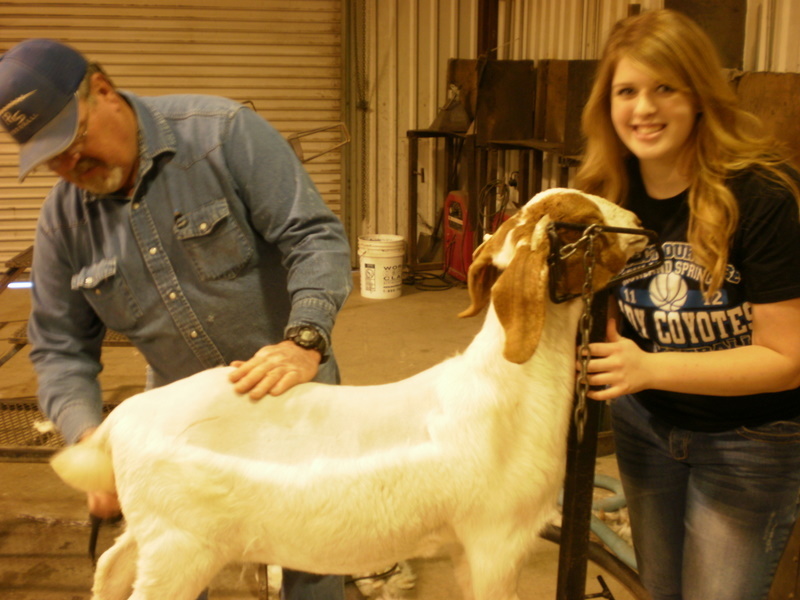 The San Saba County Livestock Show began Thursday, January 19, 2012, with the check-in of all show animals. Friday and Saturday will see the showing of sheep, goats,pigs, and steers. 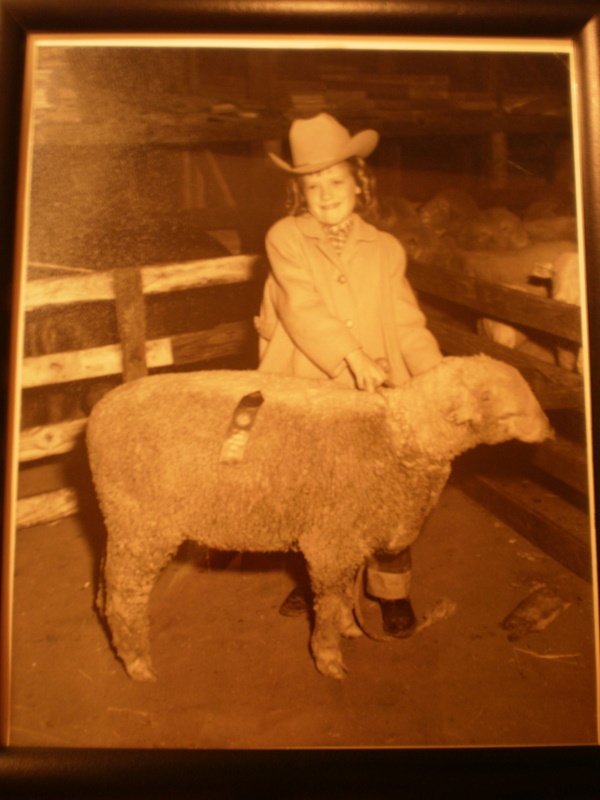 The show has made a few changes since I showed my first lamb in 1956. That’s me in the above photo. I was five years old, I won a ribbon, I beat my brother, and my lamb sold for the highest price a lamb had ever sold for at the county show. The next year the rules changed. Five-year-olds could no longer participate. Participants had to be in at least the 3rd grade in school. As a matter of fact, lots of things have changed about the show. When I began raising lambs for show, all judges wanted to see a fat lamb, the fatter the better. Now, they want the lambs lean and muscled. In the 1950’s, we did not shear the lambs. Later, we sheared a strip down their backs so that the judge could “feel” the muscles and not have to feel through the wool. Finally, we began shearing the entire lamb before the show and washing them. Gone were the days of spending hours carding the wool and trimming it to make it perfectly even. Today, students shear all but the legs of their lambs and wash them until they are sparkling white. To the right is a photo taken yesterday of one of my students and the Agriculture teacher. they are shearing her Boer goat. When I was a kid, the only goats in the county show were “hair” (mohair) goats, and there weren’t very many. Now, there are no “hair” goats, but many Boer goats. There are also breeds of sheep that produce a long “hair” rather than wool. I haven’t been to a show in a while, so tomorrow, I hope to catch up with the latest goings on at the County Livestock Show and Youth Fair. Many of my students are entered in both. Some of the students entered their weave poems; others have a goat, a pig, a steer, or a lamb. If you’ve never visited a local show, you would be amazed at the expertise of these young people. They are trained in how to raise the animal, train the animal, and show the animal, and show they do!